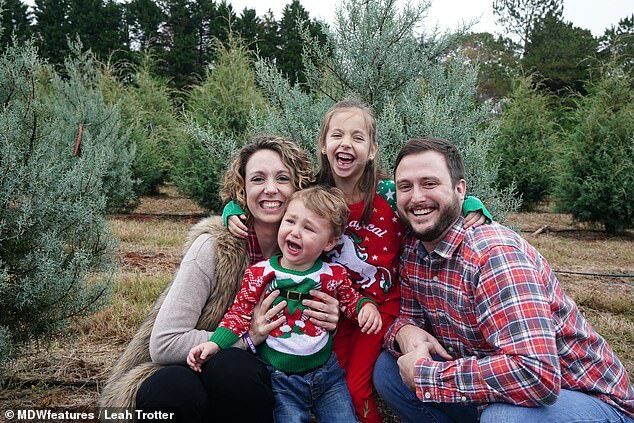 A two-year-old boy has a rare form of epilepsy that left him in tears for 15 hours straight and triggered painful outbursts of hiccups and hysterical laughter for six months. 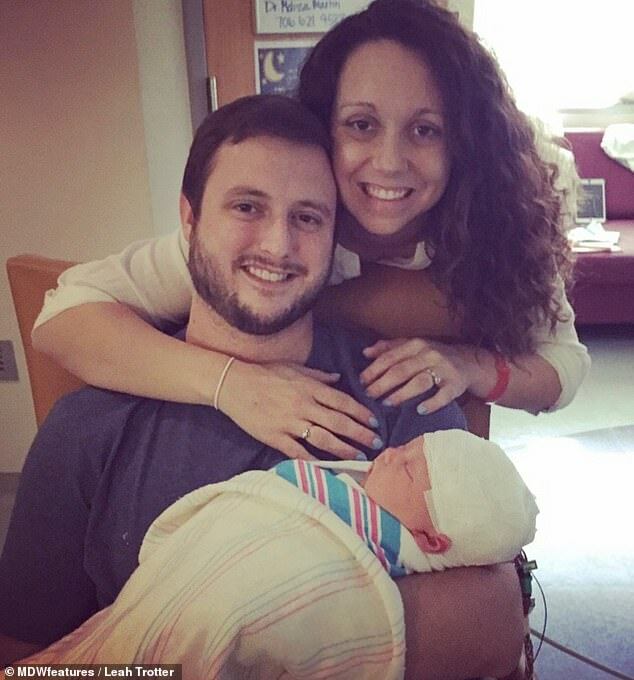 Jack Trotter was born in Atlanta, Georgia July 2016 – a seemingly healthy baby after a smooth birth. But a day after his mother Leah, 30, took him home to his father and sister, things changed: he began crying consistently and as his cries intensified, he became inconsolable. Initially Leah, a special needs advocate, wasn’t worried. Babies cry, this is normal. But this was merely a hint of a much more serious condition that would take more than a year to diagnose. As pediatricians insisted Jack was just ‘irritable’, the little boy endured painful episodes once a month of laughter or hiccups or tears. At three months old, in October 2016, they thought they had found an answer – a terrifying one: a doctor misdiagnosed Jack with terminal Mitochondrial disease which usually proves fatal. 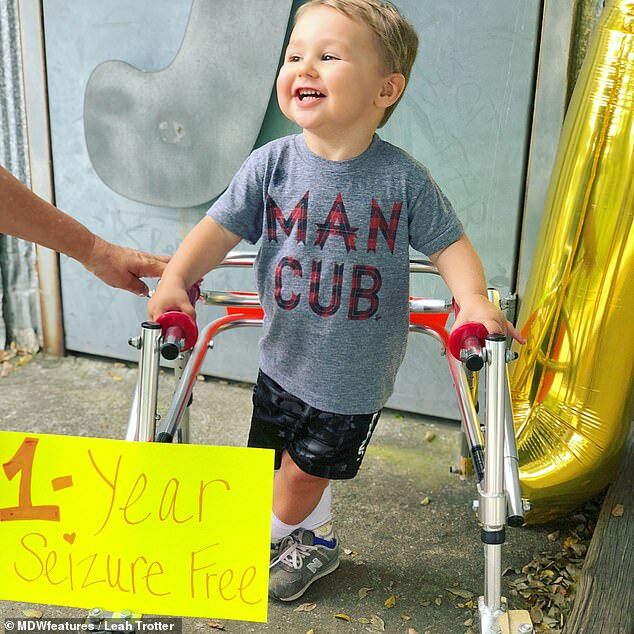 However, two months later, Jack was finally diagnosed with Pyridoxine Dependent Epilepsy (PDE), a rare cause of stubborn, difficult to control, seizures appearing in newborns, infants and occasionally older children. 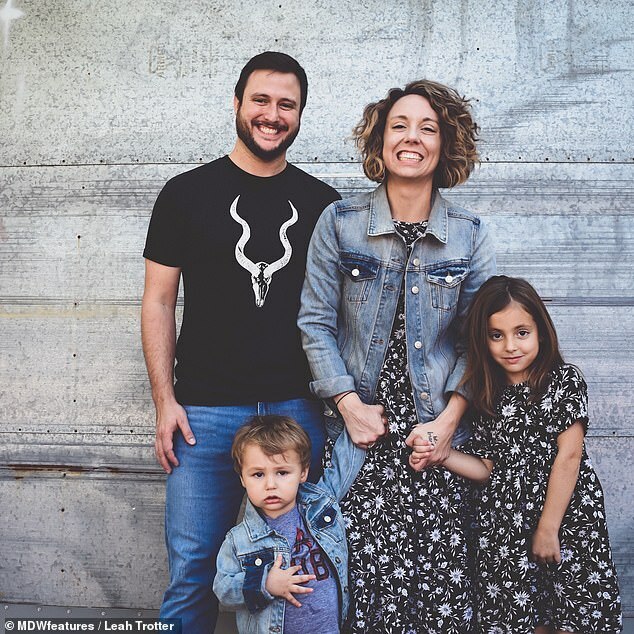 It is treatable – but without care and medication it can be life-threatening, and his mother Leah is now fighting to get more kids tested at birth to avoid preventable deaths. ‘We went through six months of hell and our son almost died from a treatable condition that could be tested at birth. So, that is my first order of business,’ Leah said. ‘I try to advocate through social media platforms for PDE and I have since helped a mother in Brazil obtain access to the specialists necessary to treat her daughter with PDE. ‘I would like other mothers in similar situations to know that they control the narrative. Don’t let a doctor dictate the way you feel about the diagnosis being given to your child. Leah, says she ‘was on top of the world’ when Jack, her second child, was born. ‘He was perfect at eight pounds and three ounces, 22 inches long. He nursed perfectly right off the bat,’ Leah said. It all went smoothly. She gave birth on a Saturday morning and was home by Monday afternoon. ‘Everything was perfect. He ate well, he slept well, he was an easy and happy baby,’ she explains. But things shifted abruptly on Tuesday evening when Jack started cry. But she wasn’t aware then that they were embarking on a long arduous journey to get a diagnosis. After their appointment, they went home, and the crying didn’t stop until about 8pm that evening. Jack had still been eating throughout all the crying, but when stopped crying he stopped nursing. Then something new started – and Leah was sure it was something like a seizure. ‘I cannot explain it, although I have told the story to more doctors than I can count,’ she explains. ‘Jack did not look quite right after the crying stopped. Keep in mind, he was barely five days old at this time so it was hard to say if he was just brand new or if he was acting strange. ‘Babies are strange; they have strange movements. But something was neurologically not right, and I knew it. 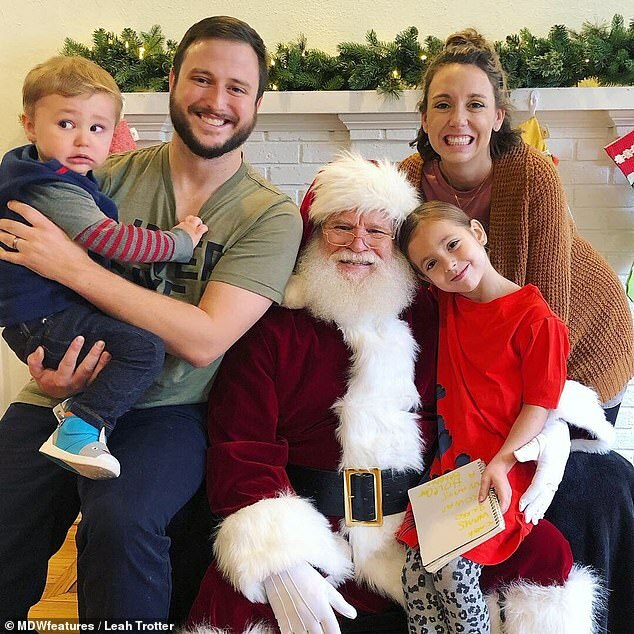 ‘He did not look like he was seizing (not in the sense that I thought a seizure looked like at that time at least), but something told me he was having little seizures. ‘He was slightly shaking, jittery as they called it in the hospital, and then he would startle and throw his left arm out and turn his head to the left simultaneously. ‘There is no way to explain this act, you just had to see it. I tried everything to see if I was imagining it or if something wasn’t right. In the morning, Leah’s mother helped her to give Jack a little sponge bath. He seemed rigid, and by that point Leah was very concerned. 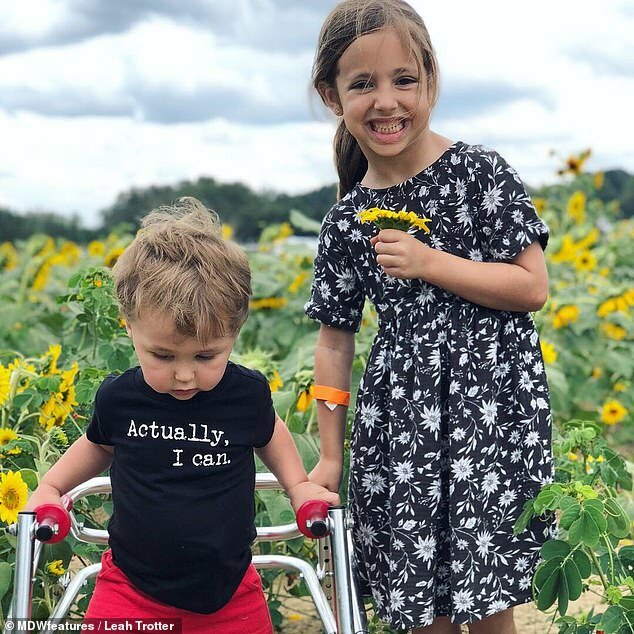 Despite Leah’s worry, she says the staff at the hospital didn’t take her concern very seriously, until a nurse approached them and noticed something wasn’t right. ‘Before I knew it there were six or seven nurses in the room, all crowded around Jack trying to help him and my husband and I faded into the background as they worked,’ Leah said. 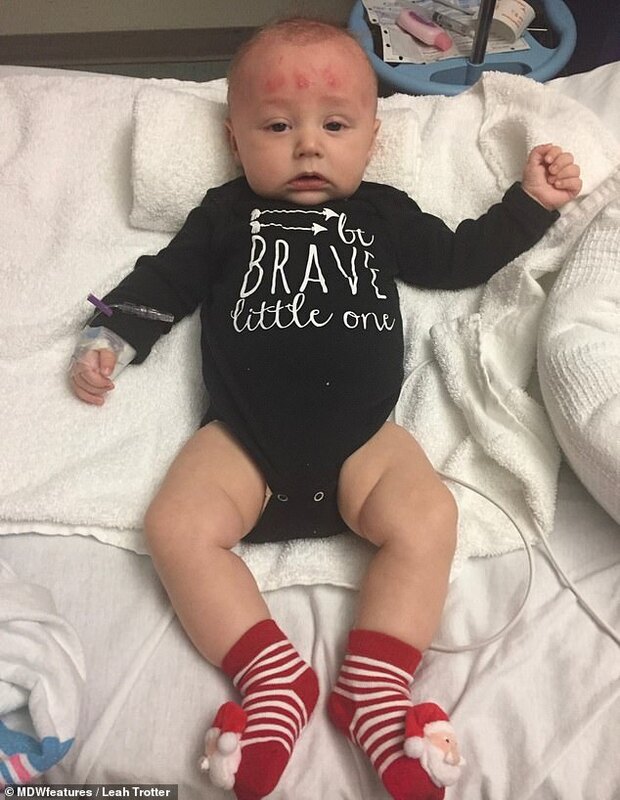 It was soon decided that Jack needed to be sent to Children’s Healthcare of Atlanta (CHOA), the best pediatric specialists in the state. ‘I was terrified because this confirmed that something bad was happening to our newborn son,’ Leah said. Jack only got worse. He was in and out of the hospital with hard-to-control seizures, put on a myriad of medications, and still no answers. When he was almost three months old, he was in status again and admitted to the PICU. That’s when a neurologist ordered an MRI and concluded that Jack had Mitochondrial disease. The doctor told Leah her son’s brain has begun to atrophy and would continue to until he died. ‘They told us there was no hope,’ she said. That changed a few days later when the results from their genetic tests came back. His form of epilepsy is rare but manageable – but doctors warned that if he’d been diagnosed any later, he could have suffered sinister consequences. ‘His treatment for the first six months of his life had been all wrong, almost detrimental to him,’ Leah said. ‘We immediately saw a neurologist, genetics, nutrition, all the specialists we needed to get Jack on the right track. 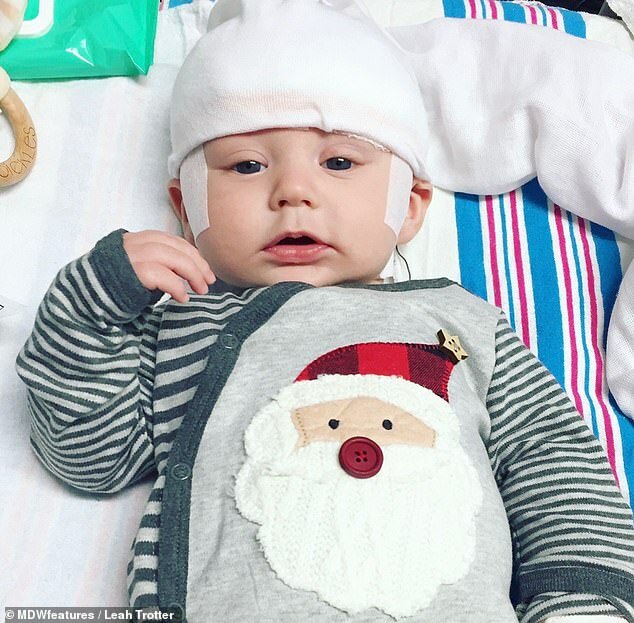 Jack has had numerous types of seizures in the first six months of his life such as; tonic-clonic, partial, focal, absence, gelatic, dacrystic and even some where he just has constant hiccups, but it’s under control now. Leah says their support network has been key to making it through – and now she hopes to pay it forward. ‘Everyone has been incredibly supportive throughout the entire journey and still are. We could not have made it through any of this without our amazing support system.